by Andrew A. Rooney | Humor | This book has not been rated. Registered by solittletime, Portland, Maine, USA on October 11, 2017. Pre-numbered label used for registration. 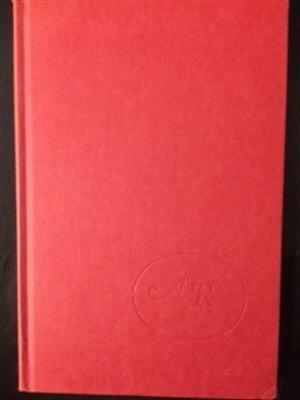 Hardcover book, plain red cover embossed with AR, no dust jacket. Released in the bookcase near the entrance at Flatbread Company OBCZ (Official BookCrossing Zone), 72 Commercial St, Portland, Maine USA, around 6 PM on October 12, 2017.